With the increasing use of renewable energies, stabilizing electricity networks is becoming an ever greater challenge. Redox flow batteries could represent a major contribution to solving this problem. Researchers at Johannes Gutenberg University Mainz (JGU) are participating in a joint project that aims to develop new electrolytes for redox flow batteries based on lignin, which is a waste product of the wood pulp manufacturing process. The Mainz-based team of chemists and their partners in industry and the academic world are thus working towards identifying renewable raw materials that will allow a more efficient generation of sustainable energies. To date, the metal vanadium has been mainly used in flow batteries but its availability is limited and it is also expensive. 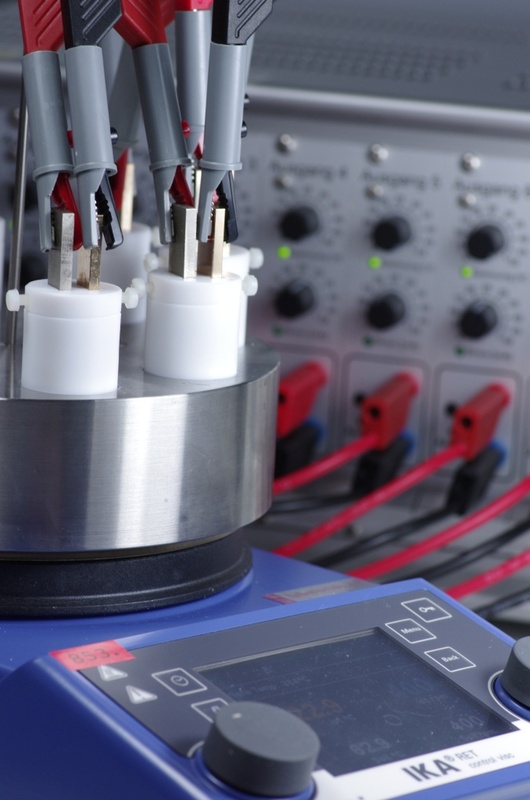 For Professor Siegfried Waldvogel’s team at the JGU Institute of Organic Chemistry, this project provides them with access to a new research field in which they can bring to bear their many years of expertise in the sector of electrochemistry. The aim of the researchers is to produce suitable redox pairs that can be used in redox flow batteries from lignin, the substance that provides for stability in wood and plants in general. These redox pairs are charged in the electrolyte of flow batteries and are then stored in separate tanks. When required, they are subsequently recombined in a galvanic cell to generate energy. "By subjecting the waste sludge from paper and pulp production to electrochemical decomposition we can obtain quinones, which we can then further process so they are suitable for use in organic batteries," explained Waldvogel. The project is being funded by the German Federal Ministry of Food and Agriculture to January 2019. 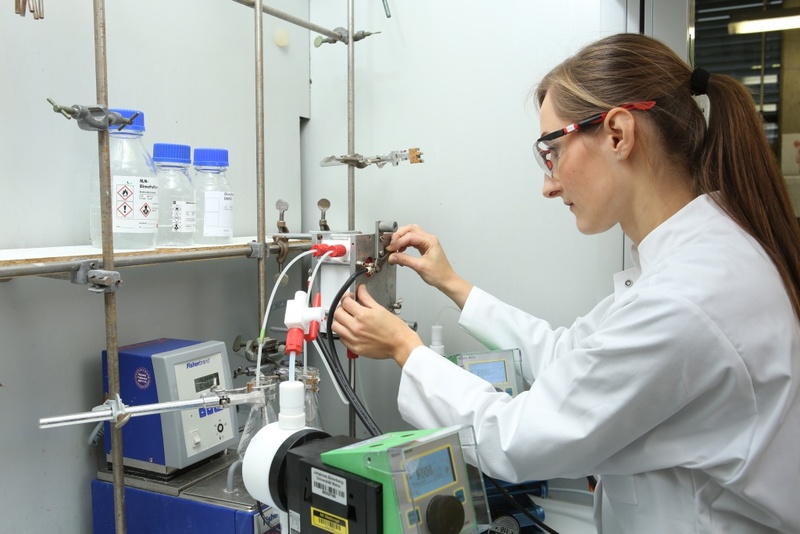 "We are placing increasing emphasis on electrosynthesis here in Mainz," added Waldvogel, who has been working on firmly establishing this field of research at Johannes Gutenberg University Mainz since 2010. Over the last three years, his team has attracted some EUR 4 million of funding for new projects in this field. In simplified terms, electrosynthesis involves the use of electrical current as a kind of reagent, whereby the corresponding electrons are employed for the oxidation or reduction of organic substances. This process is cheaper and more environmentally friendly than the usage of conventional reagents assuming the electricity is generated from renewable resources. "The electrification of chemical synthesis is currently a really hot topic and the expectation is that this will revolutionize industrial production worldwide in future," Waldvogel continued. So far, only a few electrosynthesis-based techniques for synthesizing molecules on an industrial scale have proved practicable. One of the recent achievements of Professor Siegfried Waldvogel’s team is the development of a method that makes it possible to synthesize the flavoring agent vanillin from waste wood. In addition, this technique also enables the researchers to generate more rapidly certain adjuvant substances that can be used for chemical reactions. One particular success is a technique developed in collaboration with Novartis for the modification of a pharmaceutical component: after conventional methods proved ineffective, the researchers in Mainz were able to generate the product merely by means of electrochemical transformation. For Waldvogel, the potential of electrosynthesis goes beyond simply the production of flavoring agents, fragrances, and active agents; he considers it can also be used to manufacture special products for the agrochemical industry as well as molecules that will be of interest to materials science. Thanks to the technique, it is often possible to abridge many of the phases of conventional synthesis processes. In addition, the method reduces dependence on scarce raw materials that are usually required to produce the necessary chemical reagents. The prototypes of the flow electrolyzers employed in the team’s laboratory for electrochemical reactions were designed and constructed in JGU’s own workshop. Up to eight different experiments can be simultaneously performed in this screening electrolyzer. Each small plastic cup houses two electrodes.